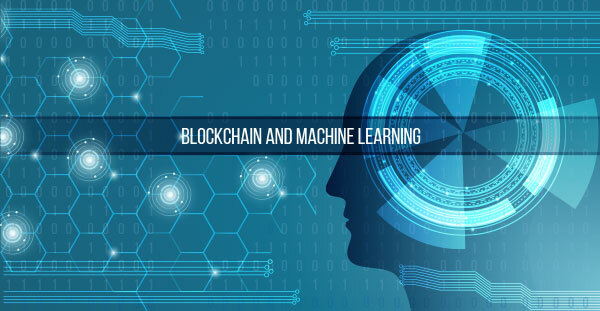 Today, Blockchain and Machine Learning (ML) technologies are gaining strong momentum and thrust around the world. Blockchain, a disruptive technology, made its big splash with cryptocurrencies invention and trading. On the other hand, with predictive and descriptive algorithms, ML is making huge waves in harnessing existing data to identify patterns and gain insights. Congregating the two technologies can only make them super disruptive! Both have the potential to hasten data exploration and analysis as well as intensify transactions security. Additionally, distributed blockchains can be a great and proven input for ML, which requires big data sets to make quality predictions. As part of the manufacturing process, companies have started relying on bitcoin blockchain-based processes and smart contracts to enable production, transparency, security and compliance checks. Instead of planning fixed machine maintenance schedules, ML predictive algorithms are being used to create flexible plans at the precise times they should happen. Quality control and product testing have also become progressively automated, with adaptive and computer vision algorithms being used to successfully detect good and faulty products, especially in highly sensitive environments. Porsche, a car manufacturing company, is one of those early adopters of disruptive technologies; leveraging Blockchain and ML to improve automobile capabilities and safety. The company uses blockchain technology to transfer data more securely and quickly, offering its customers sound piece of mind; whether they are parking, charging, third-party access needs like temporary access to a car, a parcel delivery agent. A leading Manufacturing company running Spark Machine Learning solutions on their local servers wanted to move their data & ML solutions to Microsoft Azure cloud for better scalability and ease of maintenance. The company engaged Saviant to build a solution that would help them overcome their challenges. Read the story. Blockchain and ML are increasingly reducing end-to-end supply chain challenges in the food industry by enabling accuracy and transparency. With blockchain, it is now possible to trace food sources and manage related financial transactions. Recently, IBM in collaboration with Twiga Foods launched a blockchain based microfinancing strategy for food vendors. But the project would not have succeeded without applying ML techniques. IBM scientists analyzed purchase data from mobile devices and then implemented ML algorithms, to determine credit scores & predict creditworthiness. As such, lenders get the assurance they need to facilitate lending and repayment using blockchain Hyperledger Fabric. Additionally, organizations such as Unilever and Nestlé are considering blockchain innovations to deal with food disasters such as wastage and contamination. In the Energy and Utilities industry sector, blockchain technology is helping facilitate energy exchanges. For instance, IOTA an energy based company is implementing blockchain energy production and consumption in a peer-to-peer fashion. Smart energy microgrids are also increasingly growing in popularity as a way of creating sustainable energy resources. LO3 Energy, a New York-based company is also using a blockchain-based innovation to enable energy generation, conservation and trading for local communities. The technology uses microgrid smart meters together with smart contracts to track and manage energy transactions. GE Digital together with Evolution Energie, a startup, has created an app that facilitates the tracking of renewable energy in electrical grids and uses blockchain to provide energy sources certificate assurances. The innovation is allowing users including individual and organizations to trade renewable energy sources without the need for intermediaries. US-based Water utility companies are utilizing Smart Analytics solution, developed by data analytics experts at Saviant, and are saving billions of gallons of water every year. Utilities can now extract business intelligence from a large amount of data collected through IoT driven Smart Meters. Using the system, they can monitor the health of field assets and execute predictive & proactive maintenance of infrastructure. Read the story. Globally, industries are plagued by middlemen who complicate and increase the costs of business transactions. Blockchain technology & consulting has already disrupted that model by facilitating peer-to-peer infrastructure model for users. The innovation works even better when blended with ML and blockchain experts are at the core of it. Just as we have watched and witnessed the cryptocurrency world transform financial transactions, we are going to witness more technology disruptions as a result of blending ML and blockchain emerging technologies.